Compact Ball valve is a manufacturer standard design suitable to combine a compact ball valve design with robustness and reliable performances. The valves do not rely on lubricant or grease to assist sealing between the ball and seat also when metal-to-metal sealing is used. 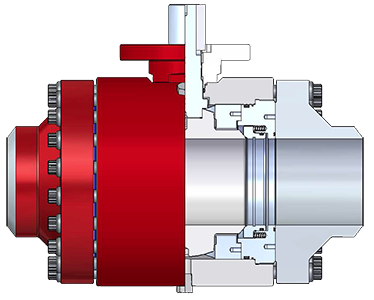 The valve design is based on trunnion mounted or support plate configuration in order to get the operating torque as lower as possible. 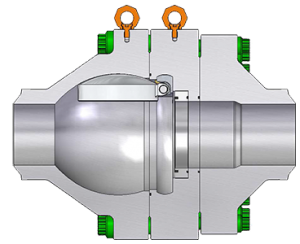 Compact swing check valve is a manufacturer standard design suitable to combine a compact ball valve design with robustness and reliable performances. 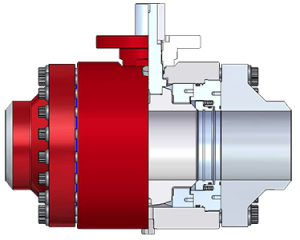 The valve design is based on swing clapper full opening configuration with dedicated end flanges to get the operating torque as lower as possible. 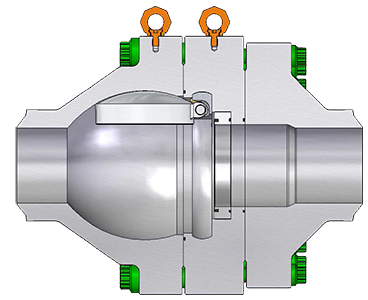 Compact design to save between 60% and 75% of valve weight if compared to standard ANSI valves.